We present ACE Seeds' first 100% autoflowering strain: Auto Malawi x Northern Lights. Sativa/indica hybrid of excellent vigor and structure, producing a huge main cola and powerful side branches loaded with well resinous buds, its production and quality will surprise even the most experienced autoflowering growers. The first version of this hybrid produces 3 main phenotypes. The first, more indica phenotype matures in just 8 weeks since the flowering is started, producing an average yield. The second phenotype (the most interesting in our opinion) produces potent sativa/indica plants (with a flowering of about 9 weeks and a half), of huge yield, very complex terpene profiles, abundant resin production and excellent flower/leaf ratio. The third and final phenotype develops in flowering an almost pure sativa expression (so it usually needs about 10-12 weeks of flowering), allowing the autoflowering growers to experience with very sativa african phenotypes, quite rare in current autoflowering strains. Auto Malawi x Northern Lights is more influenced by Purple Malawi phenotypes than other Malawi crosses, oftenly showing beautiful purple and pink tones at the end of flowering. The terpene profiles are fragrant and complex. The aromas in flowering can vary between Petit Suisse and strawberry yogurt (in the more sativa Purple Malawi phenotypes), and fruit juice (pineapple, pear, peach) in the better yielding green sativa/indica phenotypes. 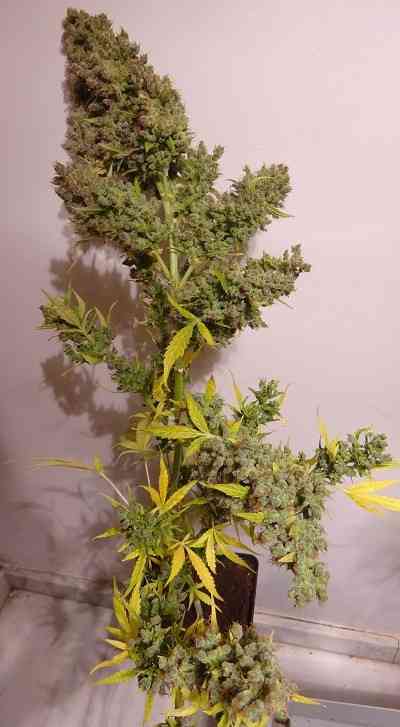 The most extreme sativa phenotypes have woodier aromas and a longer flowering time. As usual with autoflowering strains, Auto Malawi x Northern Lights starts to flower after 4 or 5 weeks from germination, regardless of the indoor photoperiod or outdoor season, allowing it to mature properly in latitudes far from the equator, where the photodependent strains start to bloom too late to mature correctly. It can also be cultivated in mid-latitude climates, finishing in summer time when it is started in spring, months ahead of the usual autumn harvest of the photodependent strains. Excellent adaptability to indoor growing, where it can be flowered and harvested next to the mothers with a growing photoperiod, and thus to be able to obtain a harvest without having to prepare another growing area with different photoperiods, as it happens with the photodependent strains.